Virgin Galactic is famous for its out of this world plans to ferry anyone who can afford a ticket into space, but Richard Branson’s commercial spaceflight company is also setting its sights on rocketing something else into orbit – small satellites. 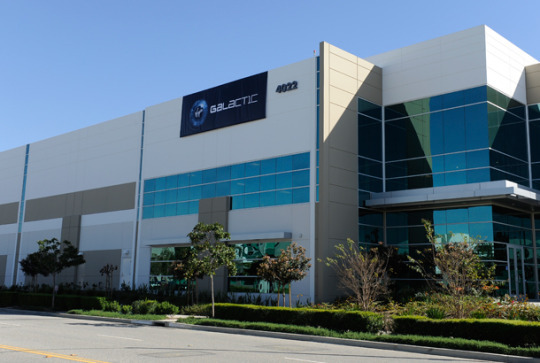 While the strategic move isn’t nearly as glamorous as shooting stars like Katy Perry and Brangelina into space, it signals a promising entrance into an unfolding “quiet revolution” of transporting compact satellites beyond Earth’s atmosphere, one that the company aims to compete in, mainly from its new industrial plant in Long Beach, Calif.
Last month, the U.S.-based offshoot of Branson’s Virgin Group opened a new manufacturing facility adjacent to the bustling port city’s airport. The step boosts Virgin Galactic’s ambitions of gaining a competitive foothold in the burgeoning private small satellite launch industry. Located in a huge hangar, the 150,000-square-foot plant is where local aerospace workers will design and assemble its LauncherOne vehicle. The LauncherOne, a two-stage rocket ship, will shepherd smaller government and commercial satellites into orbit. Virgin Galactic president and CEO George Whitesides, the former NASA chief of staff, says the program will make satellite launches more accessible and cost effective for entrepreneurs, startups and educational institutions alike. On a sunny, clear morning on March 7, Whitesides was on hand for Virgin Galactic’s job fair and ribbon-cutting ceremony in Long Beach. More than 6,000 people attended the event, during which the company accepted thousands of résumés for up to 100 jobs at the new facility. Whitesides estimates that about 25 applicants were hired since the job fair, though positions for engineers, technicians and support staff remain available. Some 50 people are already working at the new facility today, Whitesides approximates. Several are on the shop floor building composite tanks and operating machines that can cut metal for rocket engines that were in development for a few years, he says. Employees are also already staffing the front-end administrative offices. Whitesides says Virgin Galactic chose to anchor its LauncherOne operations out of Long Beach for a host of reasons. For starters, the port city isn’t too far from the company’s Mojave, Calif. plant and test facilities. He also says the move to Long Beach is a nod to the city’s long, storied history in aviation and aeronautics manufacturing. The company’s arrival is welcome news to many local residents, particularly the many unemployed aircraft assemblers and aerospace technicians laid off (and those who will soon be laid off) by Boeing during ongoing downsizing efforts. The layoffs are the result of the imminent closure of Boeing’s massive C-17 Globemaster III plant. The 1.1-million-square-foot production facility, slated to be shuttered this summer, is located across the runway from the new Virgin Galactic plant. Whitesides says he hopes some of the regional aerospace talent impacted by the coming Boeing closure will consider building a career with Virgin Galactic. “There’s a great base of good people who we thought, if we came down there, it would give those people an opportunity, if they wanted, to join our team to come talk with us,” he says. Job seekers weren’t the only people to attend last month’s Virgin Galactic job fair. Several local fans of space travel and families with young children also stopped by to check out the new facility. Many were interested in the space tourism side of the business. Whitesides isn’t quite as eager to share details on the commercial flight side, particularly about when Virgin Galactic hopes to make it maiden suborbital journey with paying customers aboard. “It will only happen when the company’s test program is finished, and we feel ready to take people up,” he says. This somewhat guarded approach may be with good reason. Last October, Virgin Galactic’s SpaceShipTwo broke up and crashed during a test flight over the Mojave Desert after experiencing an “in-flight anomaly.” The tragedy killed one of the experimental rocket plane’s co-pilots and injured the other, sparking a federal investigation into the accident and raising serious questions about the safety and future of space tourism.